Shout! 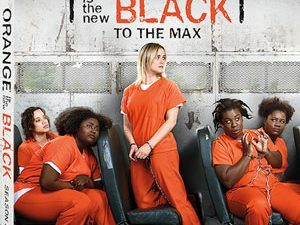 Factory has just introduced a new line of releases, handpicking some of their favorite movies and releasing them the way they always deserved. 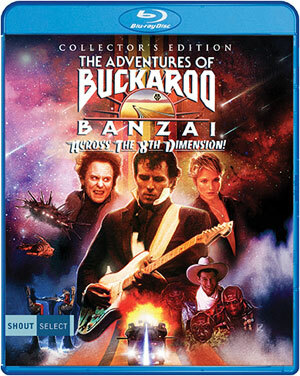 Shout Select’s inaugural release is the Collector’s Edition of the beloved ’80s cult classic The Adventures of Buckaroo Banzai Across The 8th Dimension, that will be available on August 16. On Blu-ray for the first time, this Collector’s Edition comes loaded with bonus features, including a comprehensive retrospective featuring brand-new interviews with members of the cast and crew, with an additional disc of bonus features to be revealed closer to street date. Film aficionados should get ready for a rockin’ good time with a release fit for a king, when Shout Select releases John Carpenter’s Elvis on August 16th also. Restored from the original film elements and making its Blu-ray debut, “John Carpenter’s Elvis” is the complete, uncut version of the film, and features the featurette “Bringing a Legend to Life” with Kurt Russell and John Carpenter, rare clips from American Bandstand, and more! The third title in Shout Select’s launch line-up will be a Collector’s Edition of Midnight Run, arriving on August 23rd. This Collector’s Edition release marks the film’s Blu-ray debut, and will include a bevy of bonus features including a new interview with actor Robert De Niro, interviews with actor Charles Grodin, actor Joe Pantoliano, actor John Ashton, actor Yaphet Kotto, writer George Gallo and more!